I’ve spent the last seven years exploring New York City. If you’re planning a weekend trip to the Big Apple, here are some helpful tips to make your trip perfect. Times Square is quintessential New York. Bright lights, billboards, traffic, the M&M Store, other people, the Disney Store, the Naked Cowboy. It truly has it all. Where else can you find a Walgreens across the street from a Duane Reade owned by Walgreens? When I someday leave this city, my fondest memories will be from Times Square. Once in Times Square, stop frequently in the middle of the sidewalk and take pictures of billboards. DO NOT pay any attention to the people walking behind you or towards you. You are a visitor to this city, so the right of way is yours. In every photo, outstretch your arms as wide as possible, once again paying no mind to pedestrians. They should anticipate this pose, so if you accidentally hit them in the face, it’s their own fault. Do you have a big nose? Hideous teeth? Morbid obesity? Male pattern baldness? If so, you absolutely must have one of the world’s best caricaturists prepare a sketch. Choosing the right cartoonist can be difficult. Luckily, the artists display the best work from their prior clients. You can always tell the best ones, because they had the opportunity to draw celebrities. Hey, if the cartoonist was good enough for Justin Bieber, she should be good enough for you too. New York, and Times Square in particular, is home to some of the world’s finest dining. 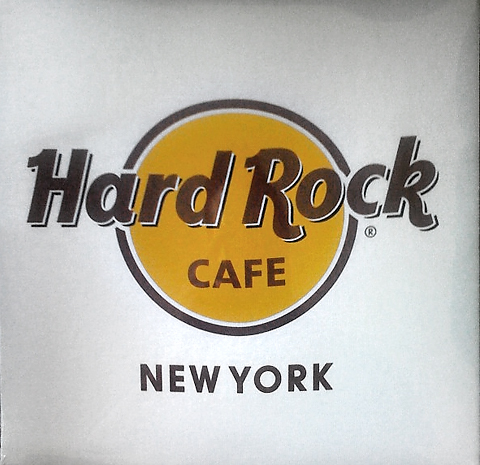 While in Times Square, check out the Olive Garden, Bubba Gump’s Shrimp Company, Olive Garden, or the Hard Rock Cafe. Each gives you an authentic New York dining experience. The wait can be long, but don’t worry! You can use the extra time to browse the gift shop and go home with the perfect commemorative shirt. Unfortunately, the epic run of Cats is over. That was really my only go to recommendation.